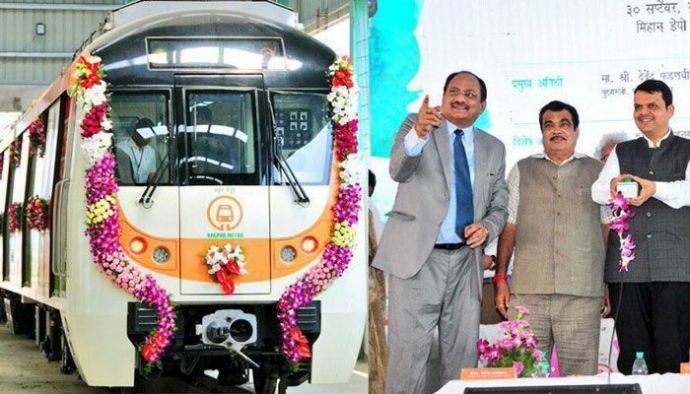 The Metro coach factory project in Butibori, which was put on hold due to the recent strain in relations between India and China, will also get back on track. To help Nagpur become a smart city, Singapore's Changi airport, having the reputation of being the best in this category, will be providing technical and commercial consultancy to develop air cargo hub and assets in the construction of the hub. 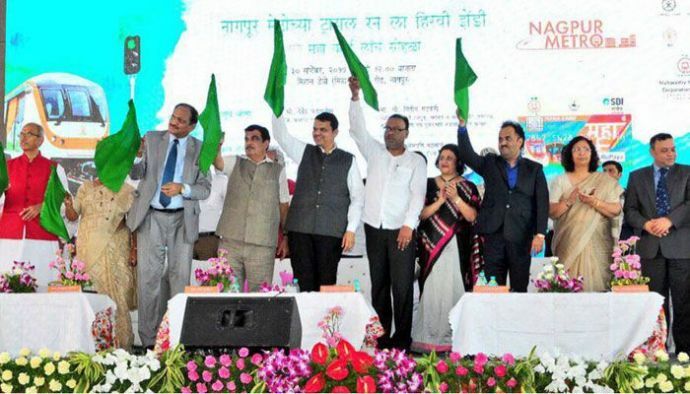 After flagging off Nagpur Metro's trial run, Chief Minister Devendra Fadnavis announced that an agreement has been signed between the airport and State government in this regard. Pune's new airport at Chakan will also be constructed with the help of Changi airport. 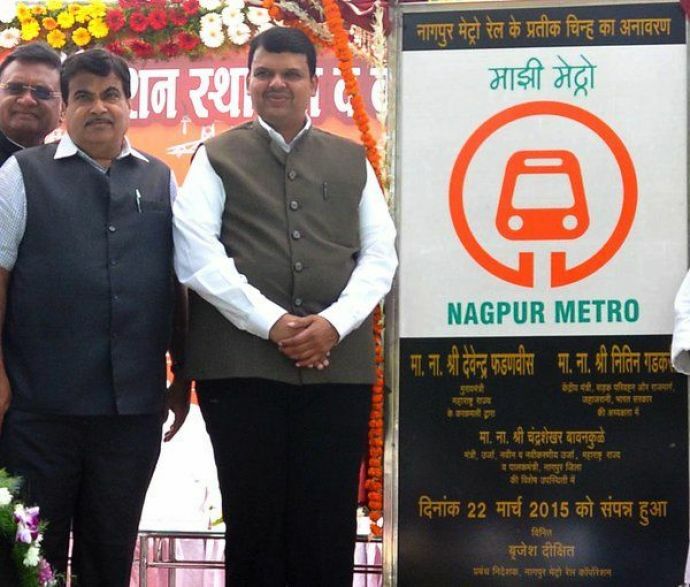 While talking about his recent visit to South Korea and Singapore, Fadnavis talked about the agreement which has been made between the state government and a Singapore government agency for planned development of Nagpur and Pune Metro regions. Fadnavis said, "this Company already operates such a facility at Jawaharlal Nehru Port Trust (JNPT). Large numbers of international logistics companies are taking interest in Nagpur after implementation of Goods and Services Tax (GST)." A Free Trade Warehousing Zone (FTWZ) near the city will also set up by the Singapore Company. He also talked about the South Korean investment for Nagpur-Mumbai communication super-expressway. "A special purpose vehicle (SPV) will be formed between Maharashtra State Road Development Corporation (MSRDC) and two Korean government agencies for building the expressway. Indian banks are also ready to fund the project but Korean loans are far cheaper," Fadnavis said. The Metro coach factory project in Butibori, which was put on hold due to the recent strain in relations between India and China, is also set to gather pace with restoration of normalcy. 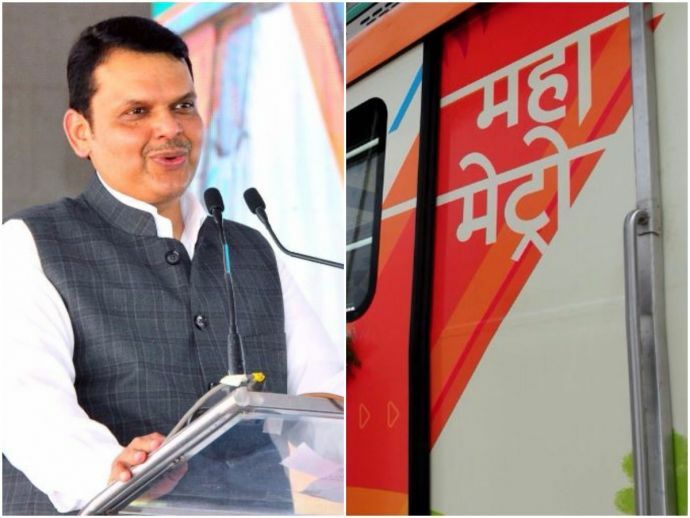 Fadnavis also said that if SBI was ready to reduce its 4% charges for using Mahacard (Mahametro's common mobility card) then state government would use it in Mumbai and Pune too. "We are preparing a platform in association with Ford. It is a mobile application that will tell you what mode of transport is to be used for reaching a particular place. It is being developed for Mumbai but will be made available across the state," he said. The extension of Metro up to Kanhan, Butibori and Hingna would soon be completed, he assured. While addressing the media Union transport minister Nitin Gadkari talked about the passenger hub which would be developed at Ajni. "Long distance state transport buses, private long-distance buses, city buses, trains and Metro connectivity will be available here. We want to acquire around 600-acre land near Ajni railway station. The state government should immediately begin the process of shifting the Central Jail and irrigation colony. I will pursue the railway's ministry for getting Ajni railway colony and Food Corporation of India (FCI) godown land," Gadkari explained. "If we get the land soon, National Highways Authority of India (NHAI) will start work on the project in six months. I have already sanctioned Rs 800 crore for the project," Gadkari added.